When planning a vacation in London many tourists have a trip to Tower Bridge and the nearby attractions in mind. The Tower of London, St Katherines Marina and Leadenhall Market (of Harry Potter fame) north of Tower Bridge. Whilst City Hall, Hays Galleria and the de-commissioned HMS Belfast moored along the river, operated by the Imperial War Museum is to the south. With so many landmarks in close proximity its not surprising many hotels choose to be located nearby. 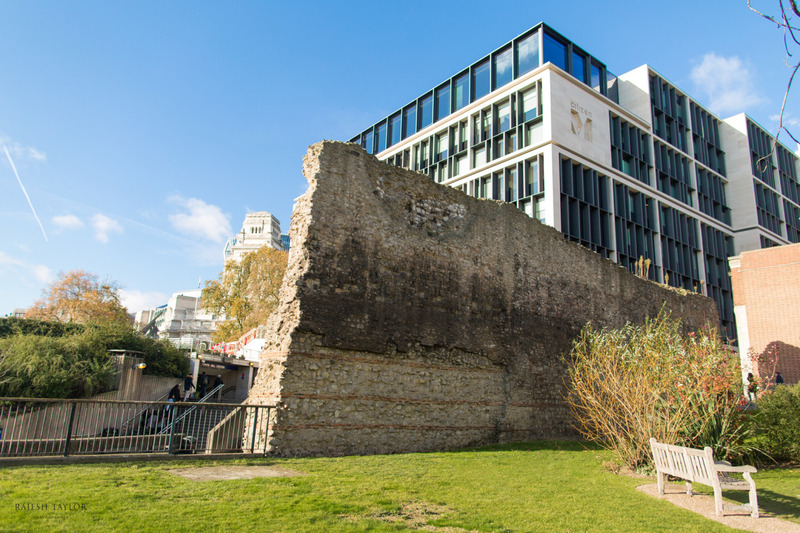 Tucked away behind Citizen M’s new hotel by Trinity Square Gardens however there is a World Heritage site - London Wall. The hotel is perfect for the hip solo traveller and young couples. 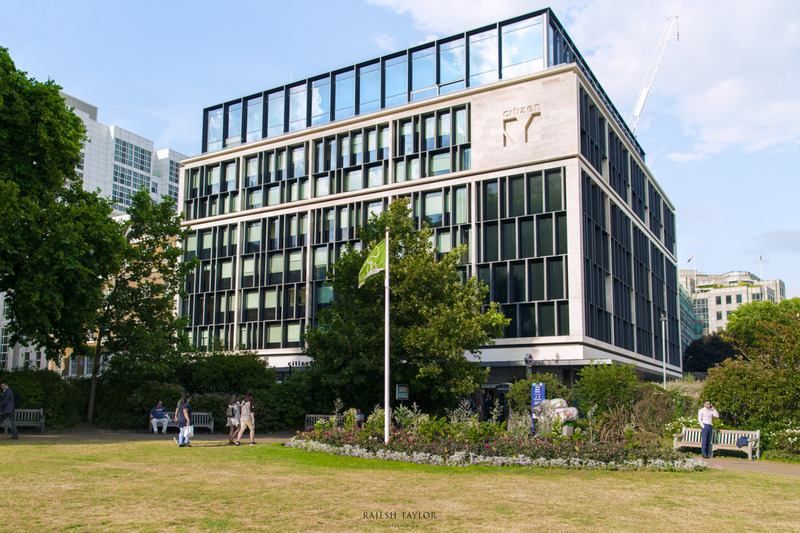 For men looking to propose whilst on their vacation, I’d point to the Four Seasons’ Ten Trinity Square. Citizen M’s rooms facing south towards the River Thames give high views of The Tower of London that many incumbent hotels such as The Grange Hotel leave their’s obstructed. PR firms were hired to feed the London press about the shenanigans against Citizen M’s plans. Although no mention of the late change of use were reported. In hindsight, the nearby hotels have found them to be serving a different clientele to them. The opposite view looking back to Trinity Square Gardens with the old Port Authority Building. Much of the surviving wall original 2.5 mile long wall is medieval. As well as providing defence, the construction of the stone wall represented the status of the city. A section of the river wall is also visible inside the Tower of London. 2018 Day passes are now £21.50 and £9.70 for children. It’s well worth visiting the most famous of all Royal Palaces. The Beefeaters have many tales of the dungeons. Originally including four city gates with an entrance into the fortress at Cripplegate. The wall was built of rubble bound in a hard mortar. At every sixth course the wall incorporates a horizontal band of red Roman tiles. This gives the wall the striped appearance. 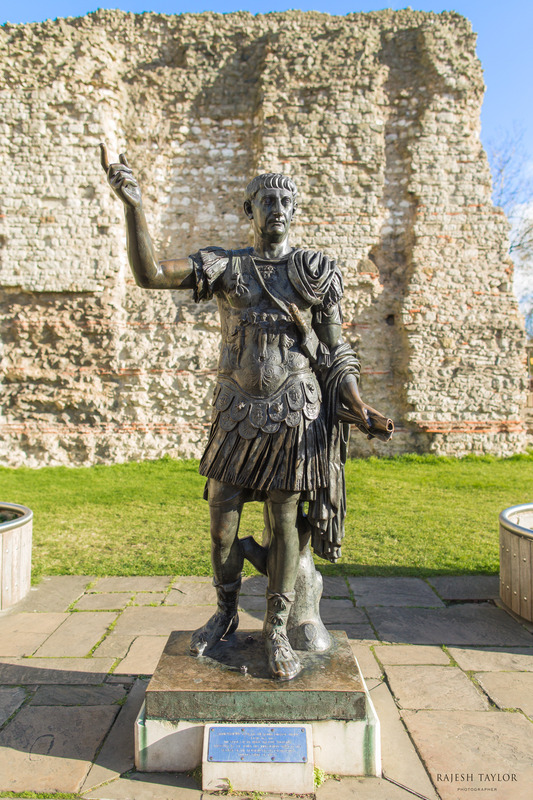 The Romans founded Londinium (the Roman name for London) in AD 43 following an invasion. 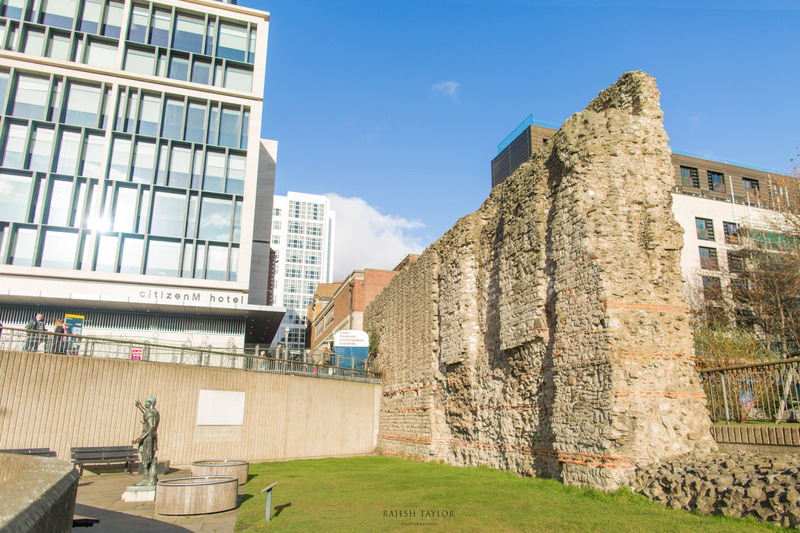 A statue of the Roman Emperor Trajan (AD 53-117) stands in front of the largest remaining segment of Roman wall inbetween the Tower Hill underground station and Citizen M. Known for his grand public building projects. The story goes that the statue of Trajan was donated by a Vicar from Southampton, Rev Clayton after he found it in a scrapyard in 1980. Which doesn’t beat finding King Richard III skeleton in a council car park. When visiting The Tower of London or the new Four Seasons at Ten Trinity Square Michelin star restaurant it is worth a quick walk to see this 2,000 year construction of old London. It may not be instagram material, but you will get a sense of history.